eGreenvilleExtra is aware of the incredible, strong, and diversified community among us. That’s why we’re taking time to get to know a few businesses and who’s behind the logo. 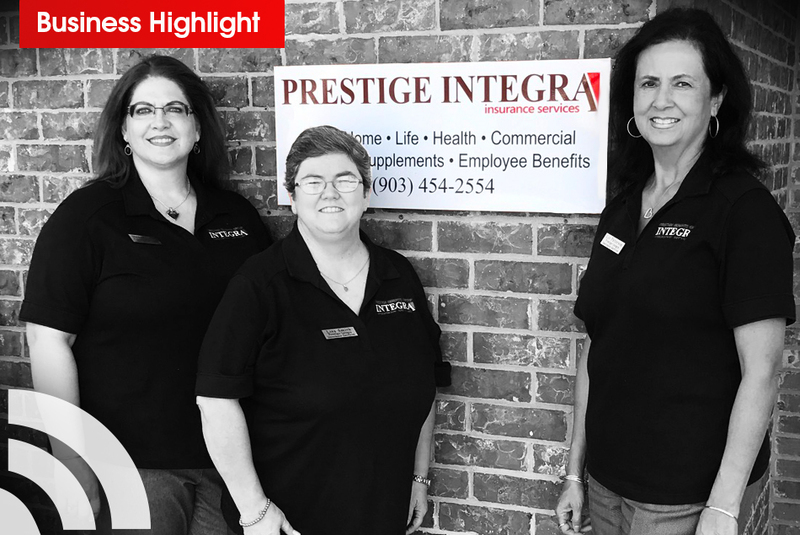 In this Business eHighlight, we meet Liz Patterson of Prestige Integra Insurance Services. Integra Prestige Insurance is located in the heart of Greenville, Texas, serving clients throughout the state of Texas. With a passion to interact with their clients, they strive to build a strong and lasting relationship with each of them. Their mission is to provide and educate clients with the best insurance benefits to meet their needs. Liz is the President and Owner of the company and has been a part of the Greenville Community for over 40 years. Liz, along with Lisa Smith and Shawna Prather, who together represent the company, provides a range of insurances, including specialties such as mobile homes, barndominiums, tiny homes, antique automobiles and more. Integra has carriers that will even insure forbidden dogs such as Pit Bulls, Rottweilers, Dobermans, Great Danes, Akita and German Shepards. What are a few things you should know about Prestige Integra? “We want business owners to know we offer workers comp, occupational accident, builder risk, commercial auto, and general liability. We’re also certified to assist in finding Life and Health Insurance and help seniors with the transition into Medicare with Medicare supplements,” said Liz. “Our clients are not just a name or a policy number. They become our friends, and are an extension of our family,” said Liz. Find out more about this business at their website, click here. Submit a business for the Business Highlights feature in eGreenvilleExtra.com. Email us at editor@egreenvilleextra.com to get more info!